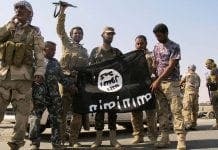 MARIANO Rajoy is consulting with Spain’s political leaders to seek agreement on the country’s response to Islamist terrorism. 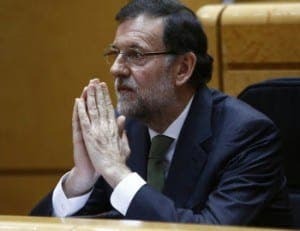 Rajoy is trying to get support from Ciudadanos and Podemos after signing an agreement with the PSOE in February following the Charlie Hebdo attacks. As well as speaking to Ciudadanos leader Albert Rivera and Podemos leader Pablo Iglesias, Rajoy has spoken with Iñigo Urkullu of the Basque Nationalist Party. 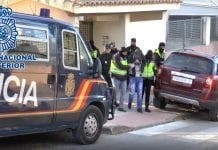 Spain remains on a level four terrorist threat and has arrested more suspected terrorists than any other European country this year. It would be interesting to know exactly what Rajoy proposes. In light of the coming national elections he may well be simply grandstanding in order to look statesmanlike. As for terrorist arrests, it would also be interesting to know how many of those arrests have led to convictions. Or is it done in the spirit of Captain Louis Renault in “Casablanca”, who proposed to, “Round up the usual suspects?